It has been far too long since our last update, and now the season is over Since we last sent an update Jason wrapped up the season traveling to old and new tracks. At USA International Raceway, after locking up the LO206 sportsman championship in the 206 Cup he moved up to the Junior LO206 class and took home second place in his first race(video) in this class. He also brought home his first Animal Sportsman race(video) win in a very tight race, swapped the lead 4 or 5 times, until he took the win on the last corner. 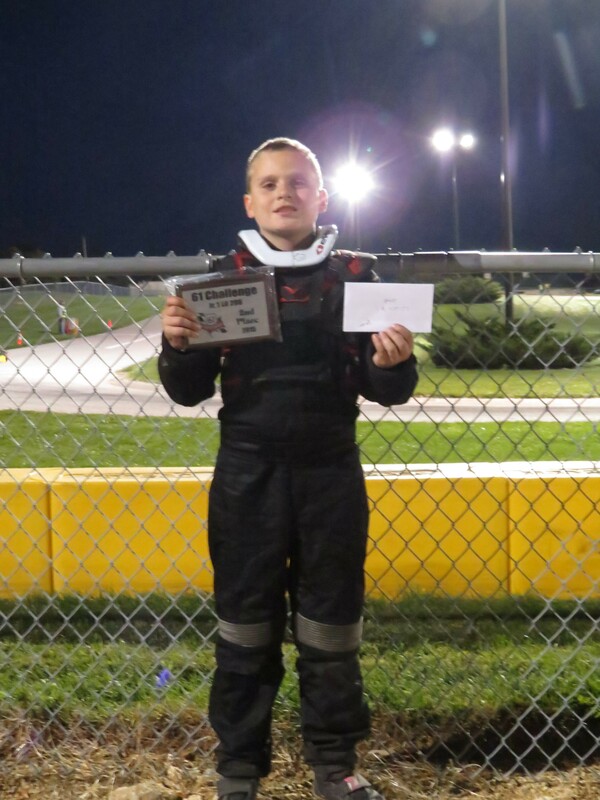 In early October, Jason traveled to Delmar, Iowa for the 61 Kartway Challenge(video), a 30 lap endurance race. He spent the morning learning a new track, and that same evening, as the sun set during the race, took home second place just half a second back from the local favorite. It has been quite a season of racing, it started off a little rough as we brought two karts up to speed. Despite, early motor and wheel issues, Jason and the karts were very fast out of the gate, picking up an early 206 Cup win. As the season progressed Jason received some coaching and I got the karts really dialed in, leading to a podium almost every race. At a race at Concept Haulers Jason dominated the track(Heat 1) to the point of breaking the track record for the year by nearly a second. Our lowest point was at MKA with the 206 Cup where Jason was driving very well but the karts where bedeviled by broken chains and the animal motor problems. The high point was at USA International Raceway with this Animal win and his first LO206 Junior podium. Some statistics. Because a good race team is about numbers. Miles and miles of track time and truck time. Fun Fact: Jason has driven approximately 400 miles on BlackHawk Farms Raceway since 2013. In other news, it seems the TV show that Jason was interviewed for has been put on the shelf. Hopefully,Adventure Aaron and the producers will find a way to get it out there. On a more positive note Jason was recently mentioned in a press release from Coyote Motorsports, the manufacturer of his chassis. The press release highlighted his Championship in the LO206 Cup and featured his first Junior LO206 race and subsequent 2nd place finish. Lastly, our friend Christian Lantry has taken some end of season pictures of Jason, kart, and trophies. Christian is a professional photographer with deep experience in the professional sports, entertainment, and advertising industries. Looking forward to next year, Jason is hoping to start racing in the Senior League at K1 Speed now that he is tall enough. 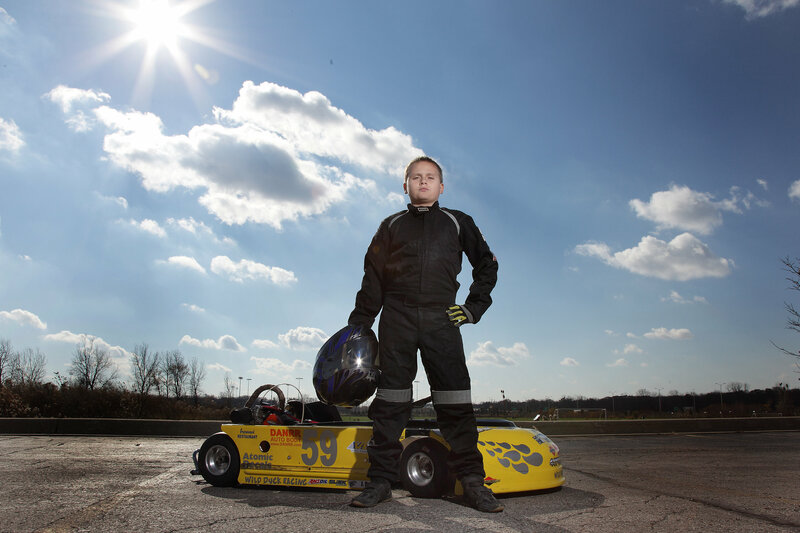 Over the winter, time will be spent in the garage tearing down the karts for inspection and rebuilding to prepare them for racing in Junior classes.